FLORIDA: Death Toll Rises As Searchers Find Bodies - Joe.My.God. 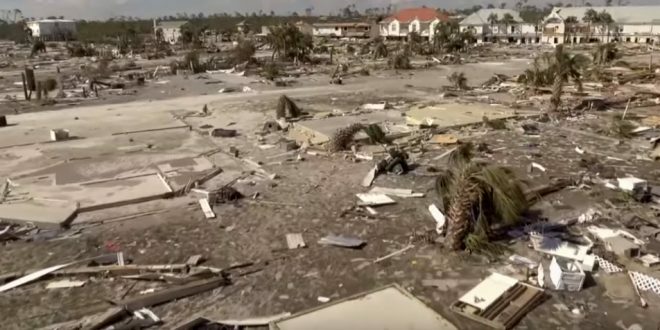 Search-and-rescue teams began finding bodies in and around Mexico Beach, the ground-zero town nearly obliterated by Hurricane Michael, an official said Friday as the scale of the storm’s fury became ever clearer. But he gave no details on the number of dead. The death toll across the South stood at 13, not counting any victims discovered in Mexico Beach. Miami Fire Chief Joseph Zahralban, leader of a search-and-rescue unit that went into the flattened town, said: “There are individuals who are deceased. We do not have a count, but we are working to identify them.” State officials said that by one count, 285 people in Mexico Beach defied mandatory evacuation orders and stayed behind. Whether any of them got out at some point was unclear.